Stay had originally been scheduled as the first single from the album. In fact the band worked with Tom Lord Alge on a new mix of the song with additional backing vocals and extra guitar parts. However, Virgin refused to release Stay as a single and in fact were pushing Shame as a more likely candidate. The ‘universal wheel’ refers to the world while the ‘black rose’ signifies the end of love. 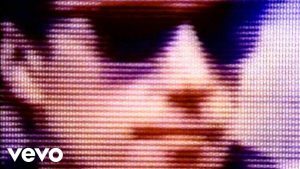 (Forever) Live And Die was the first single released from the album. The Pacific Age was based on an idea that Andy had about world economics. 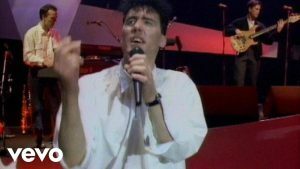 In the 1987 OMD biography Messages he said “My initial idea was to make people aware of the change in the economic world that has taken place in the past few years: The Japanese, the Koreans, the Chinese of Taiwian, they all dominate the big international market now”. The Dead Girls takes its title from a book that Andy spotted in a Los Angeles bookshop, although the song has nothing to do with the book itself. Aliss Terrell provided the French vocal. Shame was the third and final single to be released from the album. The band were surprised to learn that Virgin had scheduled Shame as a single (especially as they had been on tour at the time) and they still preferred their version of Stay. Southern was actually quite an old song OMD had been working on and which had previously been scheduled for inclusion on the previous album Crush. 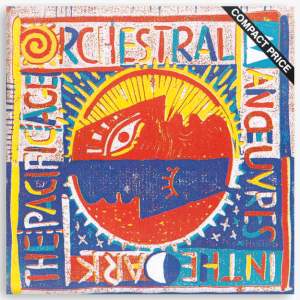 For The Pacific Age, the band reworked the song and included the original (but unused) bass line from Telegraph and the brass section for the live version of Pretending To See The Future. The song lacked suitable lyrics however, until Andy came across a series of taped speeches and noticed one by the civil rights activist Martin Luther King which seemed to fit perfectly into the context of the song, without diminishing the power of the speech itself. The speech was actually King’s last public appearance recorded on 3rd April 1968 shortly before he was assassinated outside a Memphis hotel. Flame Of Hope had originally started out as a B-Side, written and recorded in 4 hours. The band liked the finished song so much though that they decided to keep it for the album. The song also uses some of the Japanese TV ad samples that had been left over from the recording of Crush. 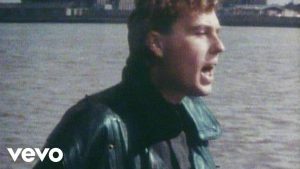 “It’s about a confusion of feelings” Andy remarked in an OMD fanclub newsheet “about how, when you’re even at your most angry and depressed about someone, you can still find reasons to love them”. Goddess Of Love was originally written for the soundtrack to the film Pretty In Pink before a dramatic rewrite of the film script rendered the lyrics of the song redundant. The band radically reworked the song for inclusion on The Pacific Age, notably rewriting some of the lyrics. We Love You was the second single released from the album. The song had actually been written for the soundtrack to the film Playing For Keeps and was rewritten and rearranged for the album version. “Watch Us Fall refers to a guy and his girlfriend in a yo-yo relationship” Andy remarked in the book Messages “It’s like you want to get rid of someone but you can’t and you think ‘here we go again…”.